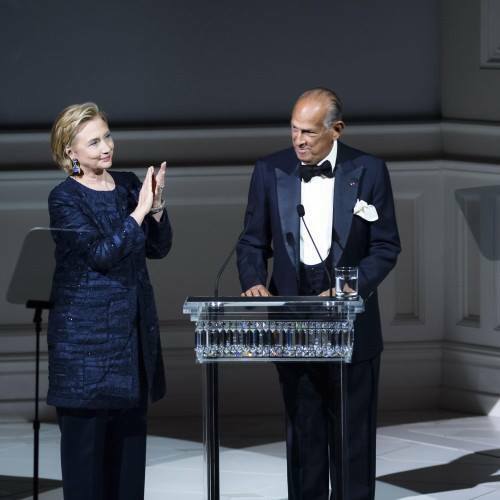 The Council of Fashion Designers of America (CFDA) announced the winners of its 2013 Fashion Awards at a ceremony on 3 June at the Alice Tully Hall, Lincoln Center, in New York City. The annual event recognizes the outstanding contributions made to American fashion by individuals from all areas of the industry and related arts, with awards being given for design excellence in womenswear, menswear, and accessories as well as extraordinary accomplishments in journalism, creative vision, and lifetime achievement. Nominations for each award category are submitted by the CFDA Fashion Awards Selection Committee, made up of over 400 members of the CFDA, along with top fashion retailers, journalists, and stylists. The nominees, as well as recipients of the honorary awards are ratified by the CFDA Board of Directors.